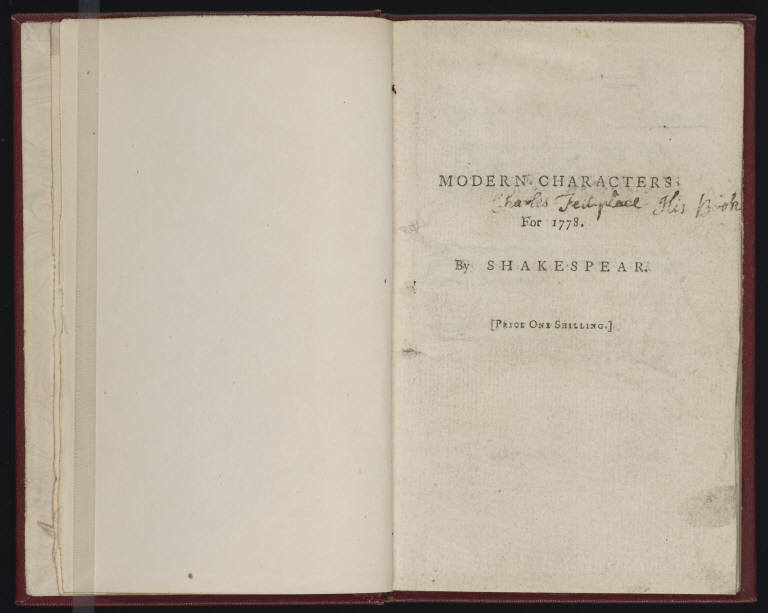 If revisions of plays like The Tempest and Macbeth testified to a shared desire of the generations after Shakespeare to make him more, in a way, of the moment–more pertinent and fashionable than his Elizabethan origins would allow–then this edition of Modern Characters of Shakespeare, printed in 1778, gives another shape to that desire. 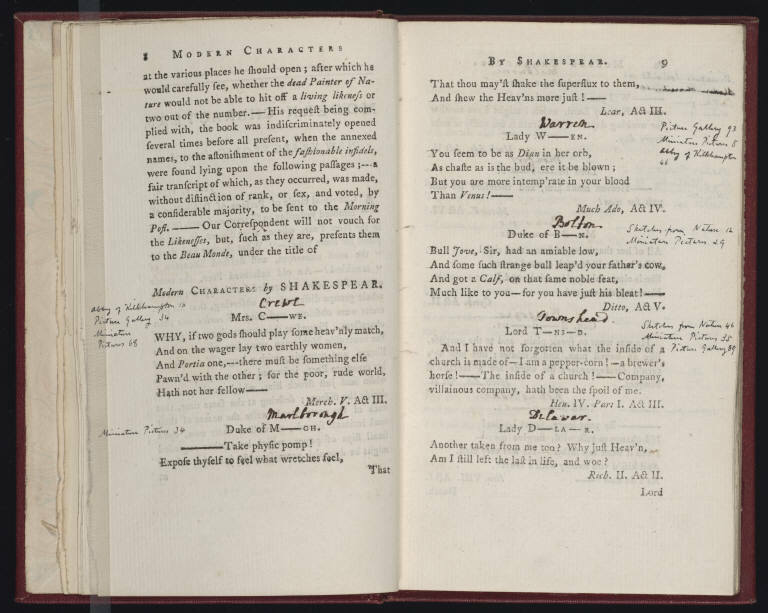 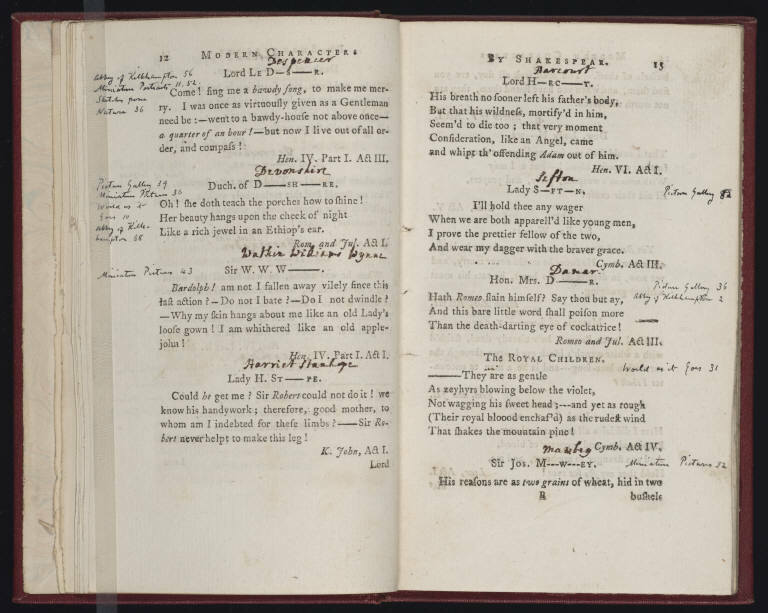 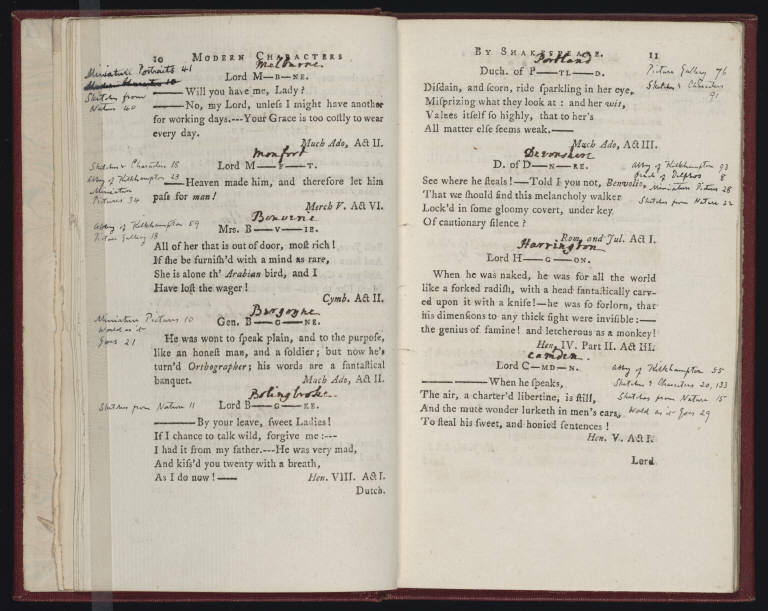 Unlike traditional printed commonplace books, though, Modern Characters of Shakespeare takes such elaborate descriptions of Shakespeare’s heroes and heroines and applies them to living eighteenth-century figures whose names have been excised by the printer–but only just enough to let him off the hook. 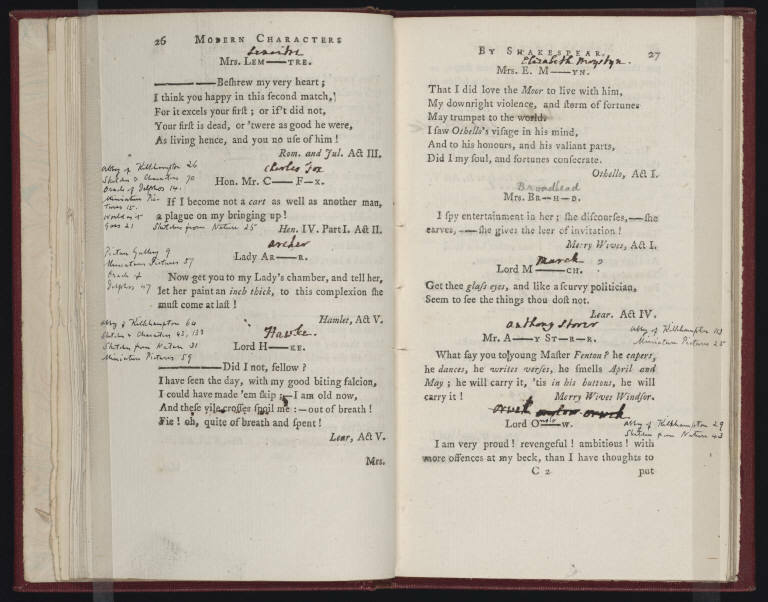 See, in this edition, where the reader of the work has filled in the blank spaces of the names based on the letters and the passages provided.